For many traders and business owners, a great command of strategy, understanding of the market, and attention to details are critical requirements in becoming successful in the industry. But more than these characteristics, an understanding and mastery of the platform and its features are equally important. Knowing the right trading tools and using these the right way can have an impact on your success when it comes to closing deals. So the challenge to every trader is knowing brokers platform (in our case – IQ Option broker) and how to use the tools at their disposal. Here’s a quick overview of the functions you may don’t know well. 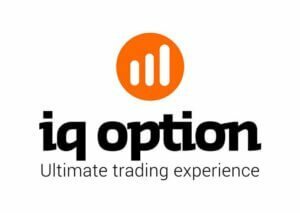 So let’s see how well you know the IQ Option trading platform. As you can see in the image, this feature of the platform allows traders to keep a deal active even if it passed through the auto close level. If you are out of the money but you have a feeling that the price will reverse, then this option can definitely help. The available funds in the balance are used to fund the deal if in case price moves in the other direction. If it reverses and moves in the identified direction, the deducted funds will be returned. 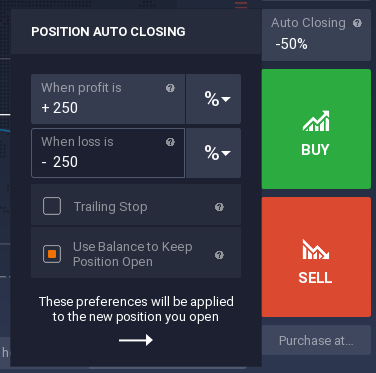 This is a helpful feature of the iqoption platform that allows you to collect a profit once the trade is in the money. Once you set the ‘Stop Loss’ level, it will move along the asset’s price if it moves in the identified direction. It will stop in case the price will not move into your expected price direction. Let’s say that you have invested in a EUR/USD pair and predicted the price to go up and set the Trailing Stop Loss at 50%. Now, if the price moves up, the Stop Loss Level wile then rise along the expected direction. As shown in the image below, this tool will allow you to create a pending order based on your own preferences and requirements. To set your option, you need to configure the multiplier, investment amount, Stop-Loss, and the Take Profit levels. Next, you will need to identify the price of the asset at which you want to initiate the position. Once done, you will need to identify the opening of the position, whether a Short or Long one and simply click the button which is displayed on the right side of the screen. As soon as these steps are taken, a confirmation will be shown on the screen. As soon as the price reaches the identified level, an order is triggered and an order automatically created. 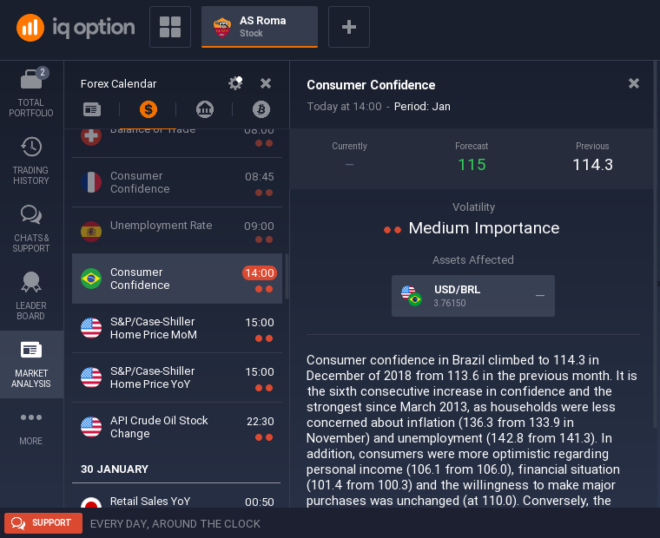 Did you know that this IQ Option platform can also provide with an analysis of the market by demand? With the use of the Market Analysis tool that is incorporated on the platform, you can easily get an understanding of the market. You can take a look at the cryptocurrency market, movement of forex exchange (forex calendar), and you can even forecast the movement of stocks. This tool is also easy-to-use and you don’t need to open a number of tabs just to monitor the situations. By clicking on a certain asset, you can easily get the information that you need. That’s all! In short – This platform provides you with all the information and resources in just one platform. If you want to do your trades the right way then make sure to use this platform in the right way! And also make sure, that you have the proper knowledge to make in-the-money traders. and much more in our learning academy.